In many respects, life along the Danube seems a bit grander, a bit more precious and international than elsewhere. In the springtime sun, this riverscape makes a perfect setting for heart-warming regional movies, documentations and romances. Enjoyment takes center stage. One weekend - three wine regions - 240 winegrowers: At the end of April, selected winegrowers from the three valley wine regions Kremstal, Kamptal and Traisental open their cellar doors to let visitors taste their new vintage as well as older ones. A single ticket allows admittance in all three valleys! Göttlesbrunn is a wine village located in Carnuntum, a wine region especially well-known for red wines. The village's winegrowers open their cellar doors and tasting rooms in April to present their latest vintages to lovers of fine wines. For a whole weekend, the winegrowers in Wagram celebrate their "Spring Awakening". "WAGRAM OPEN" is the kickoff event on May 3. As mentioned earlier, this wine region has a special geological feature: 20-meter-high deposits of loess. Natural cellars were dug in this soil in earlier times and it is ideal for Grüner Veltliner in particular. The Wachau is an internationally renowned wine region with unique stone terraces and is best known for its white wines. During Wachau Wine Spring in early May, more than 100 member winegrowers of Vinea Wachau invite the public to stop in and taste the latest vintage. 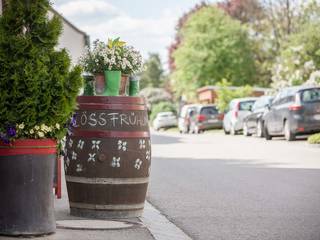 Every year on the first weekend in May, the Tour de Vin is held in the Kremstal, Kamptal, Traisental and Wagram wine regions. 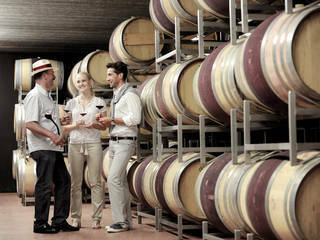 The 33 member wineries of Traditionsweingüter Österreich open up their cellars at this time. The Tour de Vin button is available for EUR 25 from any member winegrower. Once bought, the button allows the wearer to taste wine in all participating wineries and attend a host of special events. About 35 winegrowers in the Wagram region have joined together to celebrate spring and to present the new wines produced the previous year! 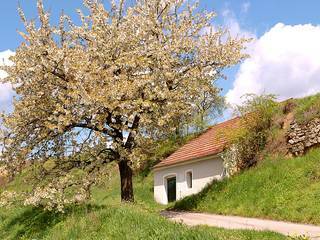 Every year during the weeks leading up to Easter, Imago Dei offers a diverse lineup of special events in the medieval Klangraum Krems, formerly a Franciscan church. 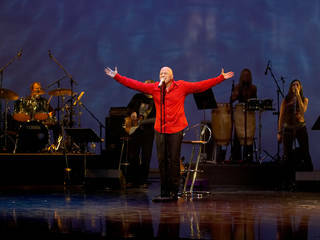 The biggest cabaret and cultural festival in German-speaking Europe has been staged for decades. Every year in May, crowds flock to the Danube town of Ybbs to cheer on top-flight artists and young new talents. 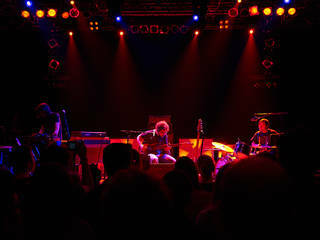 Donaufestival has established itself nationally and internationally as an exceptional showcase for new types of art that transcend traditional genre boundaries. 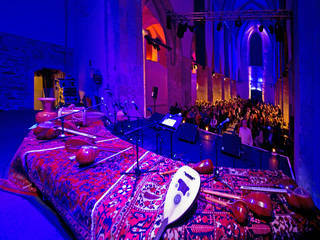 Art and music lovers are warmly invited to attend the festival in Krems on selected weekends in April and May. 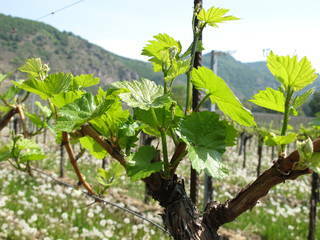 Viticulture has an ancient history in the Danube Valley. 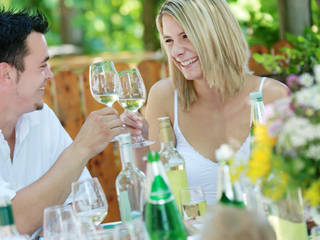 This wine culture can be experienced daily along the Wachau, Kremstal, Kamptal, Traisental, Wagram and Carnuntum wine routes and in the Klosterneuburg winegrowing regions. 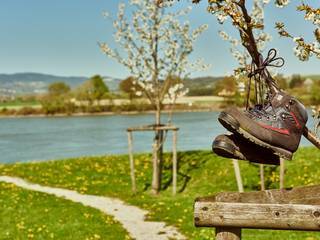 Whether your are hiking or cycling, the spring months are such an inviting time for touring the Danube region of Lower Austria and watching nature reawaken. Our tip: Book hiking packages that include luggage transport! 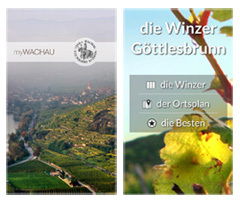 The winegrowers of Göttlesbrunn have an app that gives an overview of all wineries, their wines and other products, complete with descriptions and cellar-door prices. A map view of all wineries and GPS position along with a road guidance system helps with on-site orientation. Simply download it for Android or iPhone.